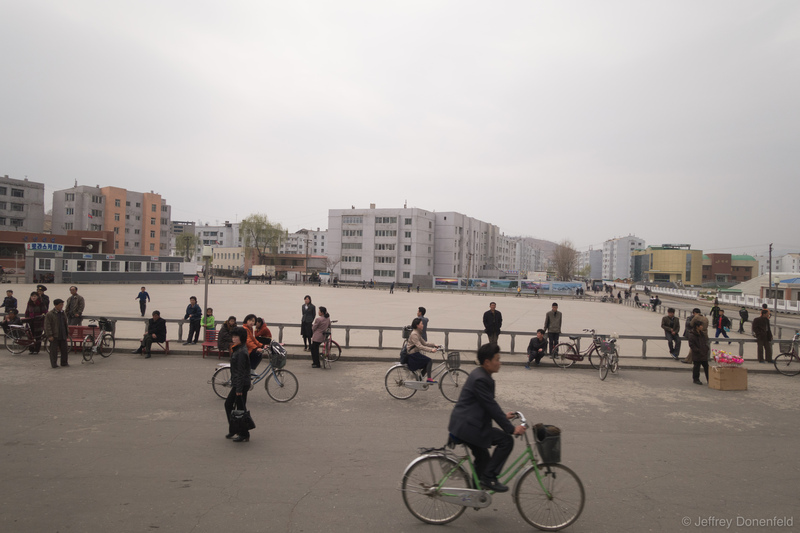 A typical scene on the streets in western North Korea. Of note in this picture is a the woman on the right hand side selling flowers on top of a cardboard box. This is a small example of the illegal North Korean Black Market - and although innocuous looking, there's been lots of talk about private enterprises like this recently. A typical scene on the streets in western North Korea. Of note in this picture is a the woman on the right hand side selling flowers on top of a cardboard box. This is a small example of the illegal North Korean Black Market – and although innocuous looking, there’s been lots of talk about private enterprises like this recently.